Since centuries people from all over the world tried to steal the ancient art of Murano glass blowing with less success. The art of making Murano glass is deeply woven into the families of glass blowers living in the island of Murano. These Muranese families are the guardians of the ancient techniques of Murano glass blowing. The secret art of Murano glass creation, is passed down from generations to generations within the family. Little kids as young as 12 years old are joining their fathers and grandfathers in the furnace to help them and learn the art of glass blowing. Thus, the ancient secrets and valuable knowledge cannot get in the wrong hands. When people talk about Italian art glass or Venetian art glass, they are usually referring to the sculptures, vases, chandeliers and decorative glass objects made in the island of Murano, Italy. Murano is a small island in the lagoon of Venice, where the art of glassmaking has more than 1000 years of tradition. Only glassworks made in the island of Murano can be marketed as Murano glass artworks. 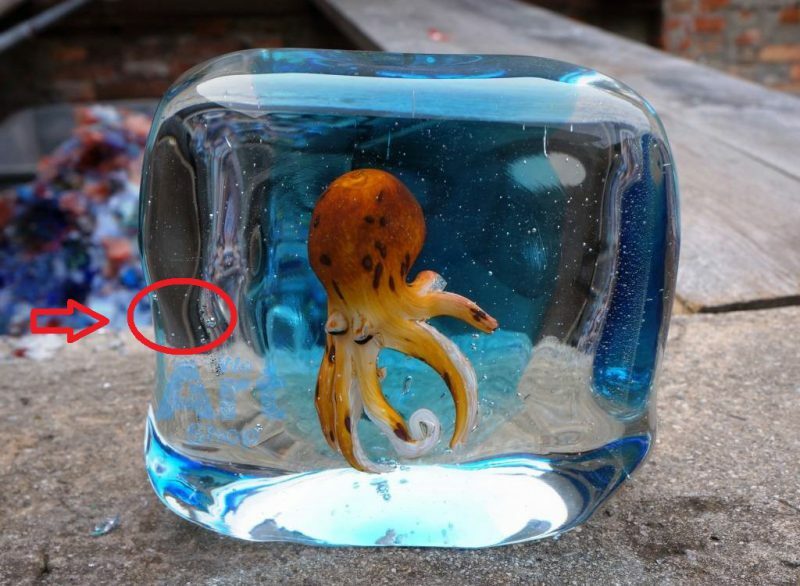 Unfortunately, there are many counterfeit Murano glassworks on the market. These glassworks were not produced in the island of Murano, yet they are marketed as ‘Murano Style’ glassworks to deceive customers. The good news is that once you know the main characteristics of genuine Murano glass, you will be able to judge if the artwork is real or not. How to identify real Murano Glass? 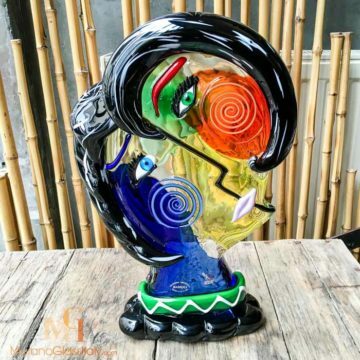 We at MuranoGlassItaly are passionate about Murano glass and want to help the Muranese families to preserve their traditions. That is why we asked five of our Muranese glass masters to share with us how to identify their artworks. Please, find below the Top 4 characteristics that you need to be aware when buying Murano glassworks. When multi-color layering technique is used, the glass master blows the different colored glass separately and then layers them on top of each other. During this process, it is inevitable that small air bubbles are created. In order to avoid bubbles and have a clear glass, in locations far from Venice and Italy they use the Lead in the composition. This is a dangerous metal that is not part of the Murano Glass tradition. Using Lead is forbidden in Murano and a crystal which is not 100% clear, is a true sign of Murano glass authenticity. Another small imperfection is the Pontil mark. The Pontil mark is a scar that was left behind when the glass master broke the Pontil rod of the finished blown Murano glasswork. The Pontil mark can be found on the bottom of a hand-blown artwork. Touch it with your finger and you can feel that the surface of the Pontil mark is not smooth. Remember that genuine Murano glassworks are only produced in the island of Murano, Italy. Murano is not a brand name, it is a physical location. 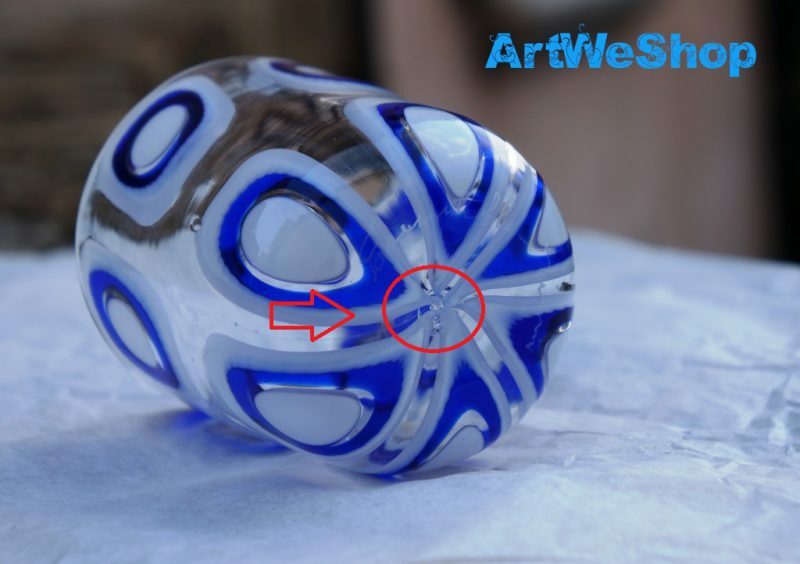 Based on the signature of the glass master and/or certificate of authenticity you can identify the origin of the glasswork. Look for the signature of the glass master on the artwork. Then go online and check if the glass master is indeed located in Murano, Italy. Furthermore, to make sure that the signature is original, compare it with the signature of the glass master displayed online. Look for the certificate of origin sticker on the artwork, which certifies that the artwork was made in the island of Murano, Italy. You may find more than one stickers on the artwork as there are different certifications available. Look for the sticker of the artist, on which either the name of the artist or the name of the atelier is indicated. Then go online and check where the artist is located. Also, compare the sticker found on the artwork to the one displayed online. Murano glass masters are also famous for infusing their masterpieces with 24 karat gold or 925 silver. Silver and gold infusion is a special technique that is difficult to copy not to mention that quality raw materials are expensive, which makes replication hard. 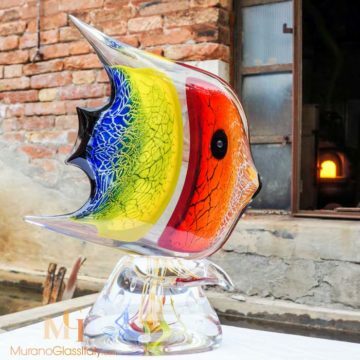 Visit the beautiful island of Murano and see how the real Murano glass is created. Purchase a beautiful artwork on the island from a trusted dealer, who guarantees the origin of the glasswork. All artworks displayed in our MuranoGlassItaly – Murano Glass Shop are certified Murano glassworks. 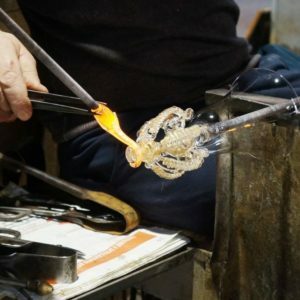 We only collaborate with glass artists, who are located on the island of Murano, Italy. Origin is guaranteed.